This entry was posted on April 4, 2019 at 10:35 pm	and is filed under Anti-aging, Best Place To Buy Osmosis Skin Care, best prices on Osmosis Skin Care, Cleansers, Clear Plus, Highlighting Quad, Mineral Hydration Mist, polish, Quench. 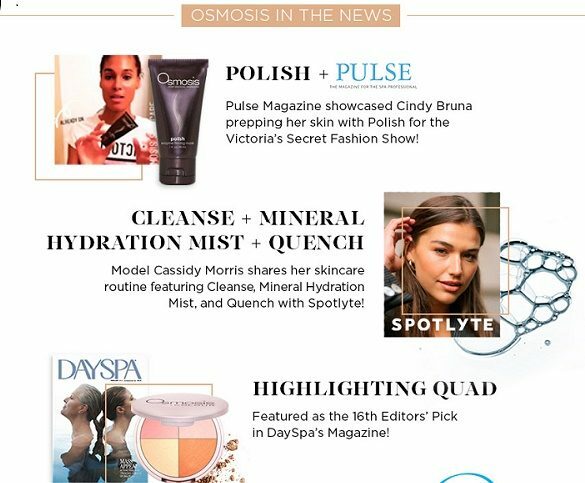 Tagged: Cleanse by osmosis, Highlighting Quad, Osmosis Mineral Hydration Mist, Osmosis Polish, Osmosis products, Osmosis Pur Medical Skin Care, Osmosis Skin Care, osmosisskincare, Products, Quench, skin care. You can follow any responses to this entry through the RSS 2.0 feed. You can leave a response, or trackback from your own site.